Digital Controlador de TemperaturaDescripcion del producto Un controlador de temperatura Mini Alto rendimiento y vivienda duradera Calefaccion y refrigeracion no se pueden tomar al mismo tiempo Funcion de calibracion de temperatura Retraso funcion de proteccion Parametros de fabrica la funcion de bloqueo despues de un cortocircuito Los limites superior e inferior de temperatura se pueden ajustar Puede ser utilizado para congelador domestico, los tanques de agua, refrigerador, refrigerador industrial, bolier, olla a presion, equipos industriales y otros sistemas de control de temperatura Viene con sensor de la sonda de temperatura Detalles del articulo: Gama de temperaturas de medicion: -50 ~ 110 ° C Temperatura Control Rango: -50 ~ 110 ° C Temperatura de m.
Vendo monitor professionale a tubo catodicoSONY TRINITRON PVM-2044QM perfetto per l'editing video o per il retrogaming. Dato il peso, sarebbe preferibile un ritiro a mano. The device is in excellent condition, used very little and fully functional. Lake People F84 Split Amp. Gerät in gutem Zustand, hat nur leichte Gebrauchsspuren. Funktion wurde überprüft und Gerät ist in Ordnung. 2 Antennen. Sennheiser ew100 G2 Sendeanlage / Funkstrecke inkl. - Mikrofonkabel (Länge: 1,6 m; XLR female -- XLR male). 2 antennas. - Microphone cable (length: 1.6 m; XLR female -- XLR male). Set consists of. The flying bus boards use a keyed connector, ensuring that module power cables can only be connected in the correct position. 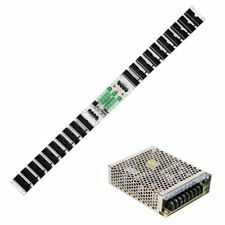 LED Meter is a handy utility module designed to show audio levels There are total 30 led segments, each one roughly corresponds to 1 dB of level, so it is 30 dB of measurement level available with this module. Bipolar version can be switched to audio level mode with the help of onboard jumper. The module has an input for the signal to be displayed, and its buffered copy is sent to the output for further processing, so no external splitter is needed. Two trimmers are accessible via holes on the front panel: left trimmer adjusts brightness and right trimmer is used for the level adjustment. So the module can represent full scale signals ranging from 2 V to 12 V.
Yamaha MY8-AT Erweiterung. 1 Jahr Gewährleistung. Digitale E/A-Karte 8-Kanal-E/A im ADAT-Format Auflösung: 24 Bit Format: ADAT Anschluss: OPTICAL x 2 96 kHz Double Channel. Input: Combination XLR/¼" TRS Jack socket (genuine Neutrik). Output: 3.5mm jack socket (illuminated). Input impedance (Hi-Z engaged): 1MΩ. Indicators: Peak level, phantom power. Phantom power: 48V. THIS IS A PRE-ORDER ONLY. WE EXPECT TO SHIP LATE MARCH/ EARLY APRIL. 100% Analogue Signal Path Whilst we embrace both digital and analogue in equal amounts, there is a very complex play between waveforms in a modular synthesiser. The charging of an analogue component over an infinite range of values to produce a waveform can never be replicated in digital. This is the reason all electronics in the audio signal path will always be analogue. The Equinox VCO is the embodiment of this ethos, based on classic analogue design and built with standard electronic components, the cost is reduced, however there is absolutely no compromise when it comes to sound quality. The ES-8 also has ADAT inputs & outputs. An expansion header allows connection of an Expert Sleepers ES-5, to which in turn you can connect our gate, CV and MIDI expanders. Module depth: 50mm. USB socket: Type B. The filters can be used simultaneously. 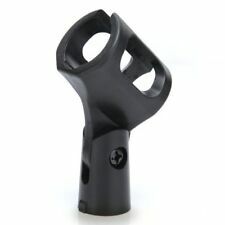 Its high-pass has a crisp sharp cut with no residue that works well on any sound. It's an analog multi-mode filter with expansive filtering capabilities to take your sound into new directions. Sennheiser EK 100 G3 Portabler Adaptive Diversity Empfänger. Sennheiser EK100 G3 E - Band. Drahtlose Synchronisation von Sendern über Infrarot. 1 Jahr Gewährleistung. Auf dieser Basis wurde der EK 100 G3 entwickelt. 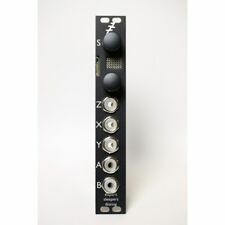 The MCV4 is the most affordable four mode Midi-to-CV/Gate Interface by Doepfer. Midi In, thru. Gate Interface. 1 analogue Gate-/Triggerout. LED for View from Gate signal. A little bag of patch cords. Braided cables with 3.5mm jacks. Little bag included! 5x 40cm, turquoise. The Stereo Field allows its user to manipulate and patch two analog stereo preamp circuits via touch plates. By utilizing skin conductivity as new paths for current to follow you are creating "new circuits" and new sounds in relation to where your fingers are patching. Its portable design and wide variety of effects make it ideal for live performances and studio applications alike. It provides you with 8 on-board presets, organised in 8 banks for a total of 64 presets. Erica Pico OUTPUT module is just what you need to monitor your modular synth on headphones and connect it to mixing desks. 3,5mm stereo output jack allows you to connect the Pico System directly to virtually any speaker system or line input. Korg Pa2xPro. Die Ultimative 256MB Sample Erweiterungen für Ihren Korg Pa3x 61 / 76 / International / Musikant. Die Erweiterung befindet sich in einem 100% funktionsfähig und gepflegten Zustand. Korg M3-M Xpanded / Korg M3-61 Xpanded / Korg M3-73 Xpanded / Korg M3-88 Xpanded. COMPACT PROGRAMMABLE CLOCKED MODULATION SOURCE. Euclidean and random step skipping with beat based looping for rhythm creation. Easy firmware upgrades via USB port. Sync to an external clock input at 48 to 1 PPQN. 1 ricevitore dedicato 433mhz. SIM compatibili: NON RICHIEDE NESSUNA SIM CARD. 1 cuffia stereo per ascolto. il kit comprende. I’ve not been happy with a lot of the waveshapers available, and this hits a strong spot.”. 20 mA -12V. Includes all components and PCB. Requires soldering. Fuses included will be 1.1A per rail.